About 70 people gathered at the New Lois Community Center (former New Lois School) in Berrien County, for the fourth school reunion. There were former students, a principal, a county school superintendent, a school bus driver, lunchroom workers, spouses, family and friends. Howard Barker led the group in an opening prayer at the Nov. 1 event. Each person introduced himself, and several told of their memories in years past at New Lois School. Sixteen people attended the reunion for the first time. They were Roscoe Stallings of Nashville (former county school superintendent; Doris Lightsey McKinnon of Homerville; Billy Frank Hayes of Bonaire; Ines Hayes Wilson of Adel; Mattie Lou Stevens McLendon of Nashville; Vivian Browning of St. Augustine, Fla.; Royce Noles of Valdosta (former students); Alice Hayes of Bonaire; Dale Hollrah of Nashville; Wylene Lott of Nashville; E. W. Wilkerson of Ray City (spouses); Sherry Carter of Homerville; Christopher Carter of Valdosta; Beck Nash of Nashville; and Edith Peters of Ray City (family members of friends). Sarah Blanton, 92, of Valdosta, was recognized as being the oldest teacher present. She taught at Old Lois School. Dorothy Akins of Nashville was the oldest teacher present who taught at New Lois. Johnny Pat Webb, 81, was the oldest student from Old Lois and a bus driver for New Lois. Lucile Noles Browning of Lakeland was the oldest student from New Lois and Don Haskins was a principal teacher at New Lois. Gladys Sargent, 85, of Nashville, was the oldest lunchroom worker. According to the registry, Roma Parrish Krejci (former student) and her husband, Ed from Livingston, Texas, traveled the farthest. Nine were remembered who have died since the reunion in 1995: W.T. Barker, Nelda Nash Smith, Carroll Cumbus, Hazel Hancock Johnson, Juanita Weaver Fletcher and Ima Jean Ray Beck (former students); Rita Wilkerson Parrish and Victoria Bennett Coppage (former teachers); Ouida Knight Weaver (former lunchroom worker). A quilt was handmade and donated by Lucile Noles Browning, Leila Mae Noles Miller and Bessie Noles Johnson. At mealtime, a lucky ticket was drawn by Alton Akins. The winner was Jimmy Hand of Adel. The proceeds of the quilt will go into the New Lois Reunion Fund. The blessing was said by Johnny Pat Webb. Serving on the 1997 committee were Pete and Dorothy Akins, Howard Barker, Lucille Browning, Jo Ann McCray, Leila Mae Mller, Annie Belle Outlaw, Carolyn Griffin and Lamar Carter. It was requested that Carolyn P. Griffin entertain at the piano and several joined in the auditorium for a sing-a-long. The social committee for the next reunion is Philip Akins, chairman, Billy Cornelius, Furman Ray, Vivian Browning, Charles Donald Napier, Lamar Carter and Charlie Barker. The reunion will be at 10 a.m. the first Saturday in November 1999 at the New Lois Community Center. Other faculty at New Lois School included Thera Hambrick, Arlo Futch Snead, Maxie Snead Patten, Bernys Peters and Grace Swindle, of Ray City, GA. Earl Weaver and Lella Forrest Long were also on the New Lois faculty. 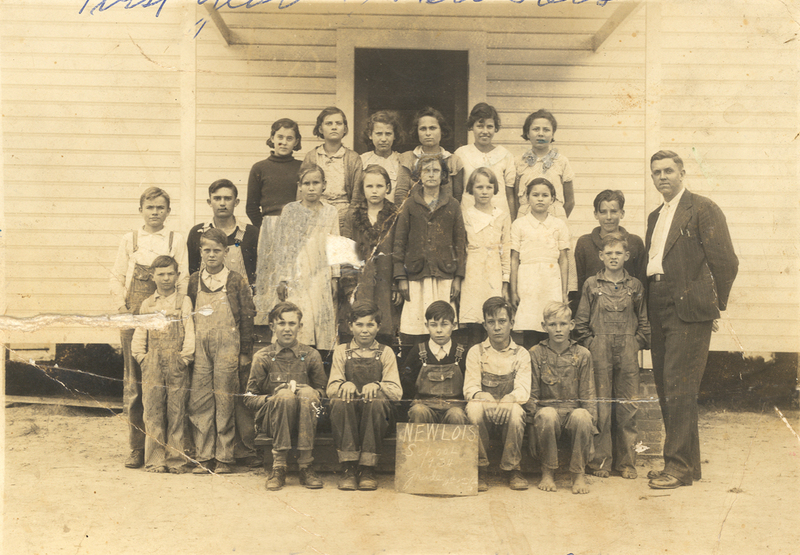 Before WWII, St.Elmo Lee taught agriculture at both New Lois School and at Ray City School. Gerald Huff coached the boys basketball team in 1952. Other students attending the school included Edna Bennett, Myrtice Jordan, Hazel Ray, Hazel Fletcher, Alma Luke, Lucille Knowle. In the 1930s, Latrelle Shaw, Lawana Shaw and Otis Shaw attended the New Lois School, walking the four mile distance from their parents’ home near Ray City both ways, daily. Reva Rice and Hubert Comer were students in 1936-37.